Mike Ragogna: Andy, you’re a featured guest on the new Downes Braide Association album, Skyscraper Souls. How did that come together? Andy Partridge: I had worked with Chris previously, knocking up a few songs for other people, one of the projects was that Sarah Brightman album about the cosmos, where she was going to perform some of its songs from the International Space Station. Shame that project fell through. We came up with some great numbers. Maybe she’s a better singer than she is astronaut material? Anyway, Chris and I stayed in touch. Out of the blue, he just asked would I like to contribute some things to an album he was making with ex-Yes/Buggle Geoff Downes—a bit of guitar here and there or anything I thought the tracks needed? So I said sure, just send me some tunes. So I played a few guitar solos, sang some backing vocals parts and strummed an acoustic and a mandolin. It all came out so well that I ended-up ruining four of their songs for them…HA!! MR: How did you submerge yourself into these tracks—by their topics, what was going on musically in the arrangement and basic tracks, or through some other method? AP: I got into “Darker Times.” For example, when I heard Chris’ main vocal, he had a seemingly throwaway line “We are all one energy” that knocked me for six. I thought, “That’s it, that’s the keystone to the whole song.” So I sent him a three or four-part tracked-up choir of myself singing that line over and over, almost like a plainsong or mantra. We both thought it worked well, but I don’t know if he was aware of that little gem of a line that was hiding in his song. It’s my favorite on the album. I feel quite tearful when I hear it, which is a great sign. With the specific requests for a “guitar solo,” I did my thing and sent him something like four takes to choose from…which he did. “Glacier Girl” just pushed all my buttons to wheel out the ‘cold’ scenery. I’d been working that week on some Christmas songs for another artist and had lots of sleigh bells laying around my shed—my home studio in the garden—so I thought I’d push myself into repetitive strain injury once more and put them on this track. Christmas happens in Winter; Winter is cold, thus sleigh bells. The acoustic guitar was something that I intended would make a frosty thin, rhythm feel. It ended up still a little too warm, so I pointed it with a mandolin. That seemed to put it deep in the tundra to my ear. It’s all about painting the right scenery for me. For the rest of the interview, please visit the HuffPost website! Mike Ragogna: Bill, your new box set Bruford 1977-1980: Seems Like a Lifetime Ago focuses on just those few years. As the artist, what stands out to you as most important about Bill Bruford and that body of work? I was very lucky to have gotten the services of the other guys at the time that I did. They were all masters on top of their game and unstinting in the effort they gave to the whole idea of a noisy rock group with jazz harmony. I’d been working with Dave Stewart in his band National Health in 1976 after I’d been with Genesis for a year and around the time, I was putting the band together. Dave was sounding great and would be perfect for the band I had in mind but more than that, he was willing to be a writing partner to help me with the compositions. Then I wanted a stellar, featured soloist and Allan Holdsworth was turning a lot of heads with his work in Gong, particularly on the album Gazeuse! I’d never heard anyone play like that before or since. I thought he would make a good sonic partnership with Dave. That left the problem of finding a bass player who could keep up with those two. I was working with Patrick Moraz on Chris Squire’s album Fish Out of Water, I think, and he was saying he’d heard this kid in New York who was stunning. The British/European players didn’t have sufficient capability to play what I wanted to hear so it had to be a North American. I went to the US to meet with him, eat some pasta, and hear him play, and offered him the job on the spot. Turns out Jeff had almost too much ability! A lot of this is in my book Bill Bruford: The Autobiography. The entire boxed set is dedicated to the memory of Allan Holdsworth. MR: What did working with Yes, Genesis, King Crimson and others add to your musical vocabulary? BB: Well, they were the best known of the several bands I travelled through in my formative years so it was in them that I began to forge a musical vocabulary. I knew early on that I wanted to differentiate myself from others on the instrument, but it took a bit longer to realize I could differentiate the music in which my playing was heard by writing some or all of it myself. King Crimson was a good place for that creativity business. It seemed to be in a permanent state of evolution—just how I like it. When I know what’s coming next I tend to get bored. For the rest of the interview, please visit the Huffington Post website! King Crimson, the English rock band co-founded by guitarist Robert Fripp, kicked off its summer tour in Seattle earlier this month on a run that brings them to Los Angeles this week, and while the band had been off the road since December it’s safe to say the eight musicians in the band hit the stage in tip-top form despite the creatively complex music in which King Crimson trades. “It is complicated music,” says bassist Tony Levin, who after Fripp – the only constant member of the band since it formed in 1968 – might be the longest serving, having joined in 1981. “And because King Crimson is a very conscientious band we rehearse a tremendous amount. Well before King Crimson arrives at the Greek Theatre in Los Angeles on Wednesday, June 21, Crimson’s three drummers – Pat Mastelotto, Gavin Harrison and Jeremy Stacey – spent a week or two practicing on their own, Levin says. The rest of the band – Fripp, Levin, multi-instrumentalist Bill Reiflin, singer-guitarist Jakko Jakszyk, and saxophonist Mel Collins – then joined them in England for two weeks of rehearsals, with another week still to come at the time we spoke in the last week of May. For the rest of the article, please visit the Orange County Register website! Few players have a resume that can match that of Jean Luc Ponty, and when it comes to violinists, no one can hold a candle to what Ponty has achieved over the last 50 years or so. A player of rock, jazz, jazz fusion and more, Ponty lists Frank Zappa, the Mahavishnu Orchestra, Stephane Grapelli, Elton John, Chick Corea and Jon Anderson of Yes among his many collaborators. But Ponty has also released an incredible run of solo albums over the years, including many for the vaunted Atlantic Records label. Ponty has just begun a national tour that’s dubbed The Atlantic Years tour, a venture that’ll see him feature songs from albums like Imaginary Voyage, Cosmic Messenger, Enigmatic Ocean and other albums he released on Atlantic in the ‘70s and early ‘80s. That tour, with all the sidemen who played on those iconic albums, visits the Scottsdale Center for the Performing Arts in Scottsdale, Arizona on June 9. In advance of the show we had a chance to chat by email with Ponty who told us how the tour came about and what he still hopes to accomplish before he retires. Ponty’s commentary below is given exclusively to AXS.com. AXS: It’s quite the accomplishment to bring together the members of your band from the late ‘70s for your Atlantic Years tour. When the idea struck, did you already know where all of these players were, and did you have to do any cajoling to get any of them on board with the idea? Jean Luc Ponty: I have always kept in touch with these musicians and there was absolutely no need to cajole any of them. AXS: How much rehearsal did you have to do to dust off some of the older material? JLP: We already did an Atlantic Years tour in South America a few years ago, but we had to wait till everyone was available to do it in the U.S., which is the case now. So just a few days was enough to refresh everyone’s memory. But what is special is the fun we experience being together again, almost giving us the illusion that we are still as young as we were. LOL! For the full interview, please visit the AXS website! Mike Ragogna: Todd, on your new release An Evening With Todd Rundgren Live At Ridgefield, you perform material from Nazz and Utopia in addition to your own with some surprising revisits, making the project feel like a career celebration. Is that how this felt when you were performing and recording this concert? Todd Rundgren: Yeah, but not necessarily in those terms. In recent years, I’ve been experimenting with different musical forms and different ways to present myself. As a result, there are things that don’t get played. I’ll put it that way. One of the paradoxes of having a career in which you continue to create as opposed to resting on your laurels all the time is that fan favorites from decades ago don’t get played as often, or if they do get played, I sometimes readapt them to a style that I might be dabbling in. It reached a certain point where I felt like I had toyed with my audience for long enough and would just give them the more familiar stuff in a way that was more familiar, as opposed to just rearranging things. On any particular night, we have a list of fifty songs and I’ll pick about half of them to perform. Even though the release is a document of a particular evening, it isn’t necessarily representative of any other particular evening, it’s just the songs we decided to play that particular night. On that tour and on the recent tours that I’ve done with this show, the set list is different every night, both because we as players will get bored with it if we keep playing the same thing every night, and also I have fans who sometimes show up to more than one show, and that gives them an opportunity to hear more material than would fit into a single show. It’s difficult to say what Kevin Godley is most famous for. For some, it’s his four years behind the drum kit with 10cc, a period during which he played, sang and wrote some of the most deathless songs in that band’s entire catalog. Certainly the response to a BBC documentary aired last year, marking the fortieth anniversary of the band’s “I’m Not In Love” milestone; and, before that, a mighty box set assembling highlights of the band’s entire career, prove that the band still means an awful lot to a lot of people. For others, though, it’s the left field art rock of Godley and Creme, the duo he formed (of course) with fellow 2.5cc-er Lol Creme following their split from the band, and who introduced themselves with what remains one of the unsung masterpieces of the prog conceptual era, the sprawling Consequences, before embarking upon a string of still effervescent hits – “Englishman in New York,” “Under Your Thumb,” “Snack Attack”… the list goes on. For others still, it’s his work as a video director, a pioneer in an art form that was still in its infancy when Godley and, again, Creme, turned their attention to it. They wound up being responsible for what are still some of the most vivacious videos of the MTV age – Duran’s “Girls on Film,” Frankie’s “Two Tribes,” Herbie Hancock’s “Rockit,” the Police’s “Every Breath You Take”… the list goes on. For the rest of the biography and the interview, please visit the Goldmine website! 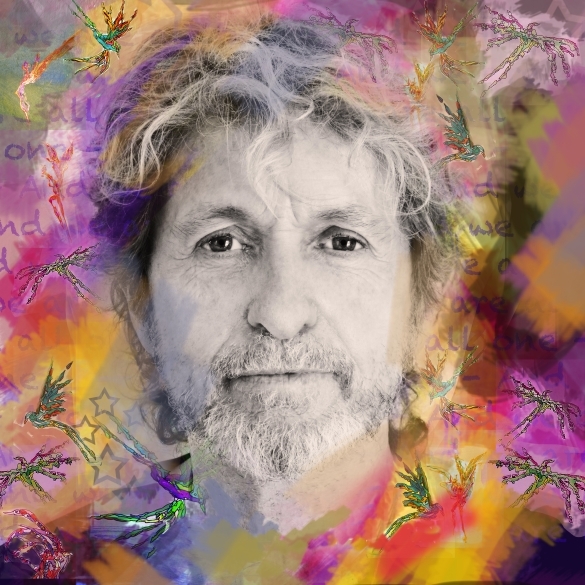 The Prog Interview is just that: every month, we’re going to get inside the minds of some of the biggest names in music – and they don’t come much bigger than Jon Anderson. The former Yes man reveals all about his upcoming album with Jean-Luc Ponty, tells us what he thinks of Yes today, and shares his thoughts on everything from Sibelius to strippers and spiritualism. Tomorrow morning, and probably every morning when he’s not on tour, Jon Anderson will have breakfast in bed with his wife, Jane, at their house in the old Spanish mission town of San Luis Obispo, California. “And then we sit for a while and watch the birds, the deer and the rabbits outside the house,” he says. It’s not a bad life, then, for the 70-year-old, Lancashire-born singer-songwriter and exiled Yes vocalist. However, there have been some not-so-good days. In 2008, Anderson suffered acute respiratory failure, which required months of recuperation and cost him his place in Yes, who continue to tour and record without him. Today he brushes off a question about his health (“It’s good – I’m good”), preferring to look forward to his latest project, a collaboration with ex-Mahavishnu Orchestra violinist Jean-Luc Ponty. But over the course of the conversation, Anderson ends up looking forwards, backwards, sideways, upside and down. Dig a little deeper, though, and this spiritually minded astral traveller isn’t so far removed from the teenager who started his musical career as a singing milkman in Accrington. Chris is going through it. It’s a tough one. I pray for him every day – I’m sending out that love energy. Have you made it through all of Progeny yet? No [laughing], because I haven’t had my copy yet! There’s a lifetime’s worth of music there. I still remember that time vividly. Yes were on cloud nine and we stayed that way for about a decade. If pushed, that 1972 line-up was the classic Yes line-up, wasn’t it? That’s classic Yes. If I think back to those shows, the band was in harmony, musically and mentally. Have you spoken to Chris Squire since he was diagnosed with leukaemia? I emailed him after I heard he got sick. Chris is a musical brother, regardless of anything else that’s gone on. I wouldn’t be where I was if it wasn’t for him. I was with Yes for 35 years – that’s half a lifetime. You don’t just forget that. But Chris is going through it. It’s a tough one. I pray for him every day – I’m sending out that love energy. What stage is the Anderson Ponty Band album at now? We’ve just finished it, and the DVD, and they’ll be out in September. We’re hoping to tour the UK in October. It’ll be me with Jean-Luc and his band. They’re formidable musicians and they don’t mess around. How did this collaboration with Jean-Luc come about? I found a couple of Jean-Luc’s songs from the 70s on his website and sent him one of his tracks with me singing on it. I said, “If we worked together, this is what it would sound like.” He liked it and we carried on from there. We went to Aspen [Colorado] for two and a half weeks and did a show, which became the basis for the album. What material will you be playing? It’s a mix. We do some Yes songs – Roundabout, And You And I and Owner Of A Lonely Heart. The band wanted to play Owner… and it sounds very cool with a violin. They play the hell out of it. Let’s go back. Do you remember the first gig you ever played? One of your early jobs was as a milkman. Yes. My brother drove the milk van and I used to hang on the side, and we’d sing Everly Brothers songs together as we did the round. We were always singing. That was a very happy time. It was the beginning of rock’n’roll, Buddy and Elvis and skiffle. That was the beginning of everything. For the rest of the interview, please visit the PROG website! Kevin Godley’s long and illustrious career in music is something to be marvelled at. From his early success as a founding member of the successful rock band 10cc, and duo Godley and Creme, to becoming one of the most sought after and innovative music video directors of his generation, he has well and truly done it all and worked with some of the biggest names in music in the process. 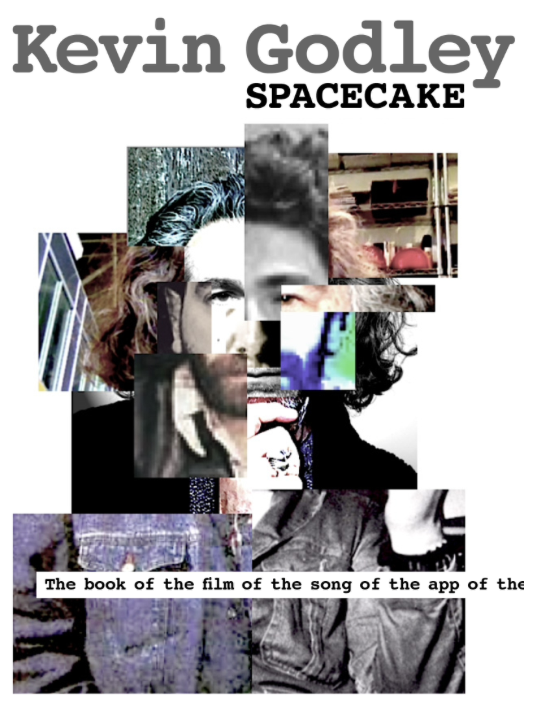 Spacecake is a truly entertaining and honest account of one mans experience of the sleazy world of Rock & Roll and the heights of musical success. I just finished the book, I found it to be very funny which I didn’t expect. Was that a conscious effort to try and make it that way? Kevin: When I first started writing it it naturally seemed to fall out like that. I have a tendency to look at life as a series of absurdities. So it kind of wrote itself in that respect. The book has been described as part-autobiography / part-creative manual. What was the initial idea? Kevin: Well, I’d never really considered writing a book before, but the more I thought about it the more I thought it’d be a good challenge. The thing that was mostly interesting was the fact that it could be an interactive experience, that I didn’t have to rely on the written word for people to be entertained by the book. They can actually see things and listen to things while they are reading. It’s more of a 3d experience, which is exactly what it should be. Looking back at your first steps in music with Hotlegs and the success of Neanderthal Man, you reflect in the book that you feel as though you sold yourself in many ways to the commercial aspect of the industry. How much did this experience contribute to the formation of 10cc and its success? Kevin: I think everything we did up to that point contributed to it whether we knew it or not. What we were doing essentially was learning by doing. Although some of the stuff we did we didn’t think was great, every time we did anything it coalesced in our brains without us knowing it was happening. I get the impression in the book that Strawberry Studios in Stockport was the perfect environment to find yourself and to have that period of trial and error? Kevin: We were incredibly lucky. We were in a unique situation in that we were away from the main hub of the music business being out of London and in the sticks. Therefore we had the run of the place when it wasn’t being used as a commercial studio and we were allowed to play, which is exactly what we did. We played as opposed to working. The whole experience was a sort of voyage of discovery. For the rest of the interview, please visit the Vanguard-Online website! There were many similarities between The Moody Blues & The Beatles. Both had an entire band that could sing harmoniously and at times almost identical alongside one another. Each band member was also able to perform solos flawlessly. Both bands became good friends and even shared the same manager (Brian Epstein) for a spell. The Moody Blues became part of ‘The British Invasion’ and supported The Beatles on their final UK tour in December of 1965. They followed the tour with their first trip to the U.S. appearing on The Ed Sullivan Show. 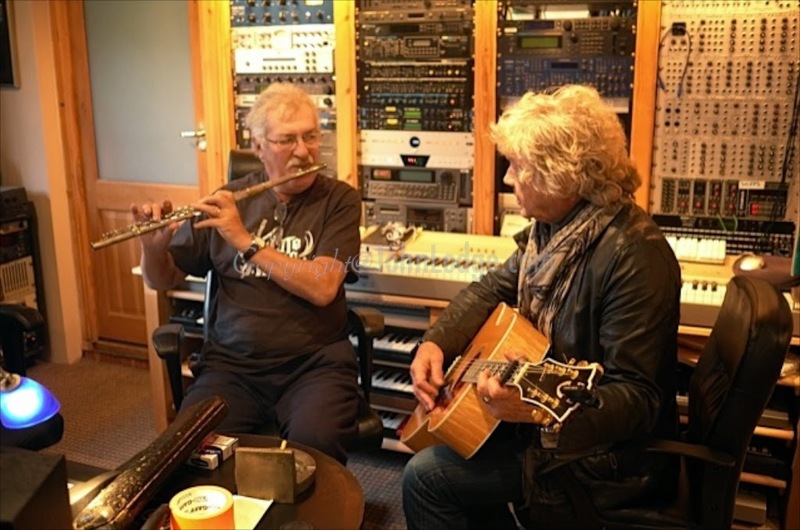 In 1967, Moody Blues mates Ray Thomas and Michael Pinder performed on the studio tracks of “I Am the Walrus” and “The Fool on the Hill” from The Beatles, “Magical Mystery Tour”album. Both bands also mimicked each other’s artistic strengths … originality, prodigious songwriting & musicianship abilities and shared everlasting worldwide popularity. NEW RELEASE …The Moody Blues 50th Anniversary re-mastered release -‘The Magnificent Moodies’ –Esoteric Recordings (Cherry Red Records) An Official (Deluxe 2 CD) 50th Anniversary Edition of the Moody Blues debut album is now available. Re-mastered from the first generation master tapes, along with all the singles the band recorded between 1964 and 1966. Notably, this collection includes 29 previously unreleased bonus tracks. -‘The Magnificent Moodies’ is available to purchase now at Cherry Red Records and amazon.com. RAY THOMAS is the legendary co-founder, flautist, singer and songwriter for The Moody Blues. Thomas demonstrates an unimaginable musical feat spanning over five decades. It was Birmingham mates Ray Thomas and Michael Pinder who actually formed The Moody Blues in 1964. They recruited guitarist Denny Laine, drummer Graeme Edge and bassist Clint Warwick. After signing on to Decca Records, they recorded their debut album‘The Magnificent Moodies’ spawning the hit “Go Now” (#1 UK, #10 U.S.). In 1966, Clint Warwick left the band. Thomas & Pinder eventually brought in longtime friend John Lodge to replace him on bass and vocals. That same year, guitarist and vocalist Denny Laine quit to form an electric string band and was replaced by guitarist/vocalist Justin Hayward … and the classic-lineup of The Moody Blues was inaugurated. For the rest of the bio and the interview, please visit the Classic Rock Music Reporter website!